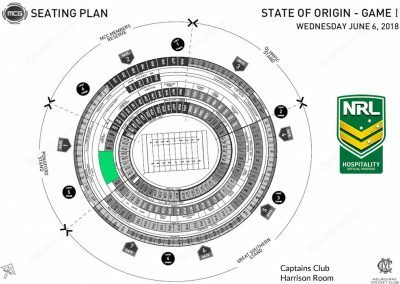 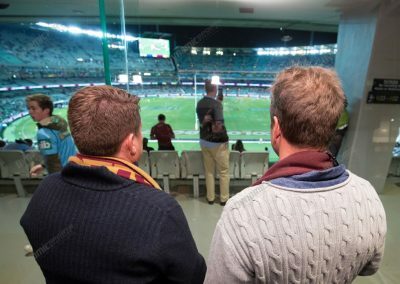 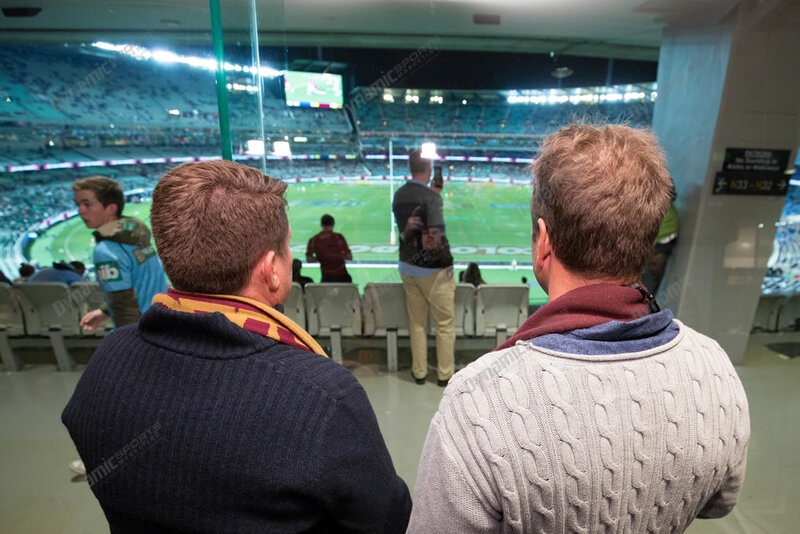 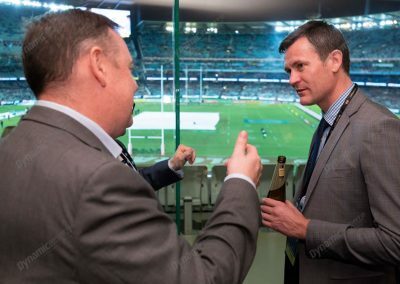 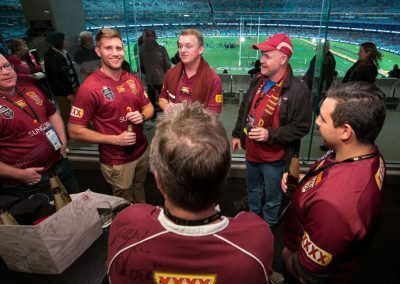 Rugby League’s showpiece event, the Holden State of Origin Series is coming to Melbourne again with Game 1 of the series to be played at the MCG. 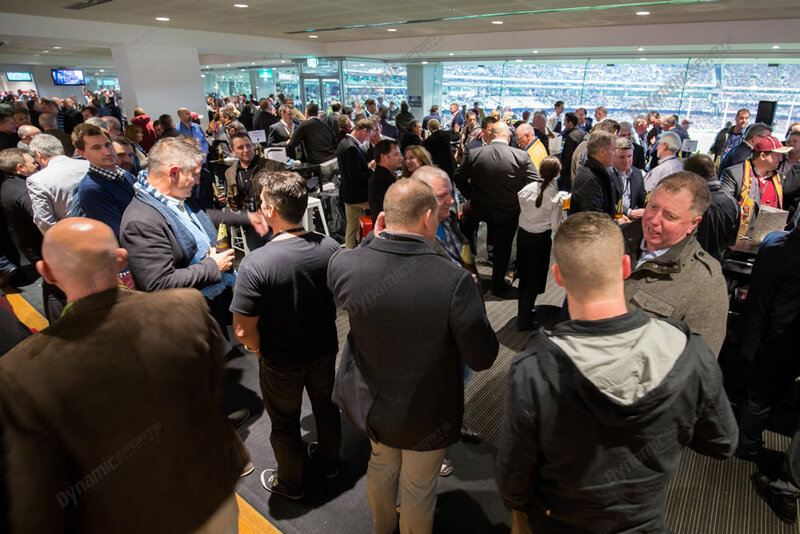 Australia’s greatest rivalry will re-ignite at the Melbourne Cricket Ground on Wednesday, 6th June. 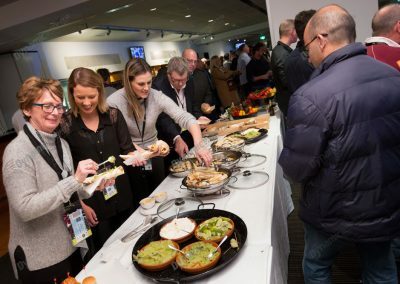 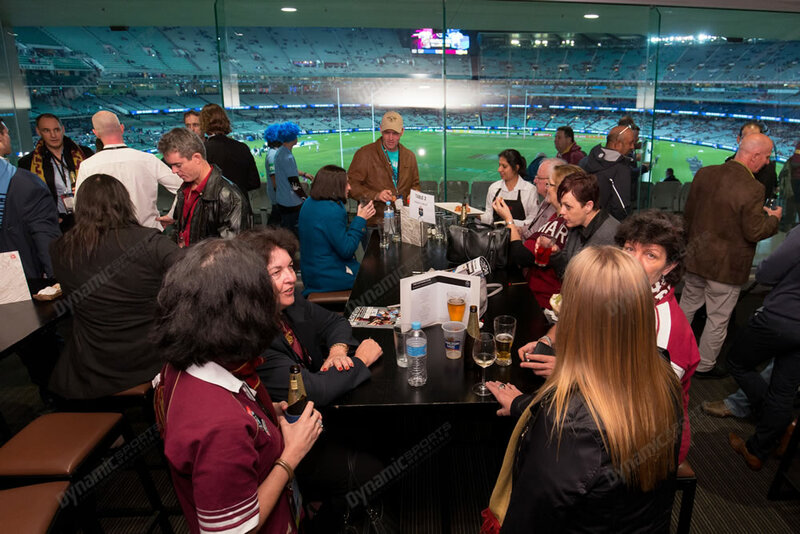 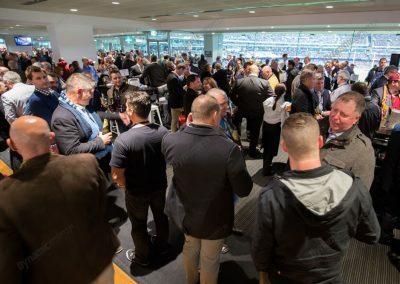 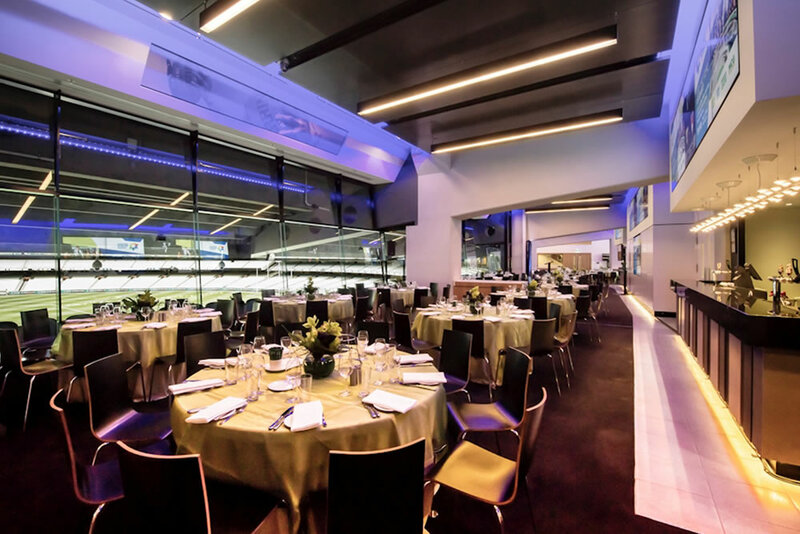 The Captains Club package is fantastic stand up style function in the Harrison Room, which features sweeping views across the MCG. 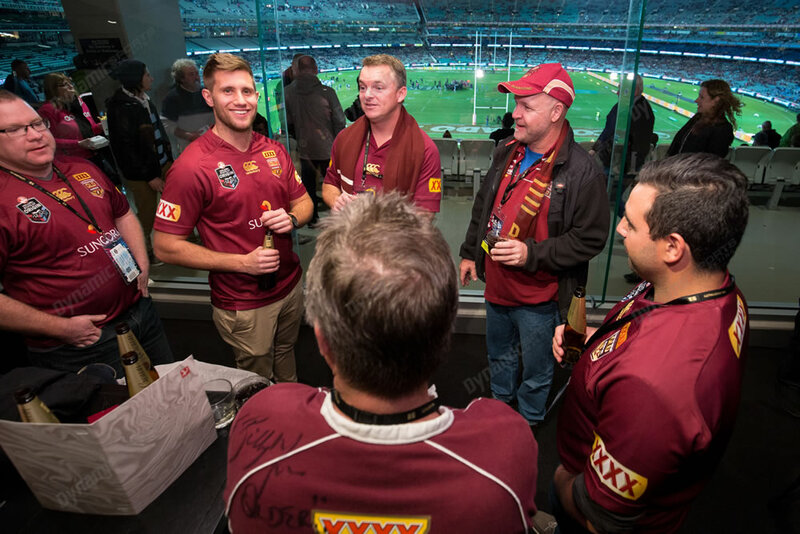 Get up close and personal with QLD Origin legend Billy Moore and a huge range of other former players.With everything to play for it is sure to be another thrilling chapter in Rugby League folklore. 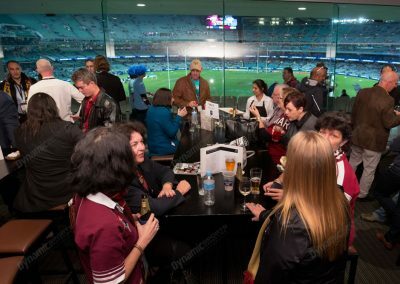 Book the number of guests you need, not a fixed number e.g. table of 10. Minimum booking size is 1 person. 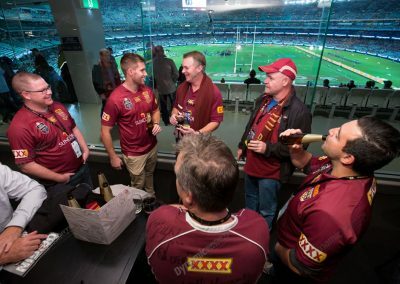 Enjoy the game in a luxurious setting in an relaxed package. 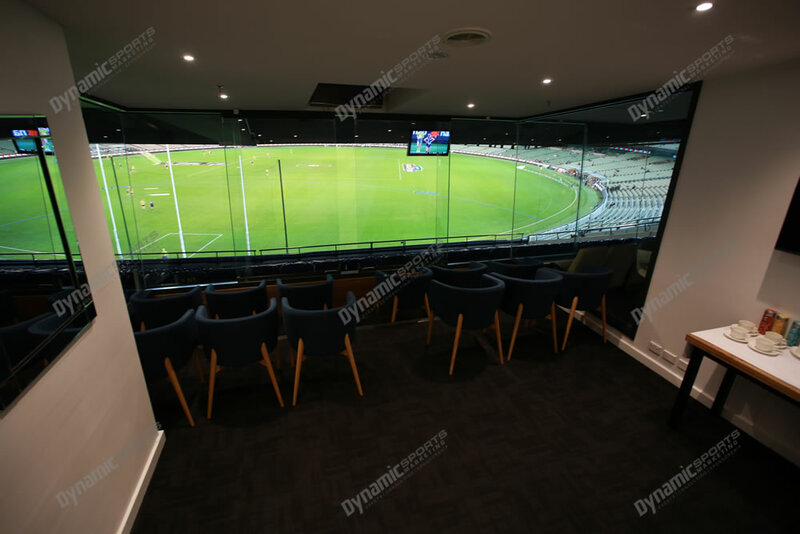 Remain in the room during the game if you wish. 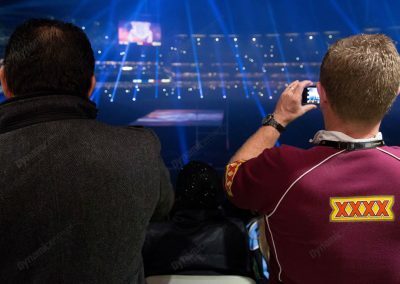 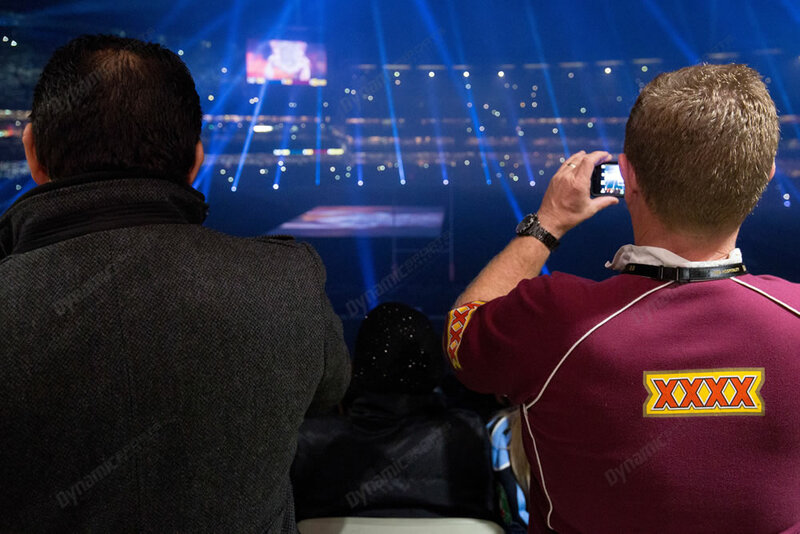 Book with confidence – we are an official NRL and State of Origin agent with 12 years experience. 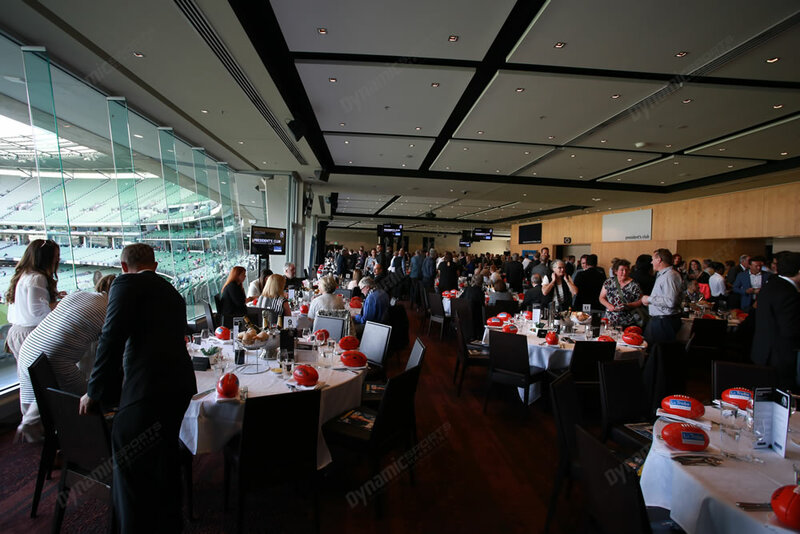 Entry into the exclusive Captains Club function in the Harrison Room at the MCG. 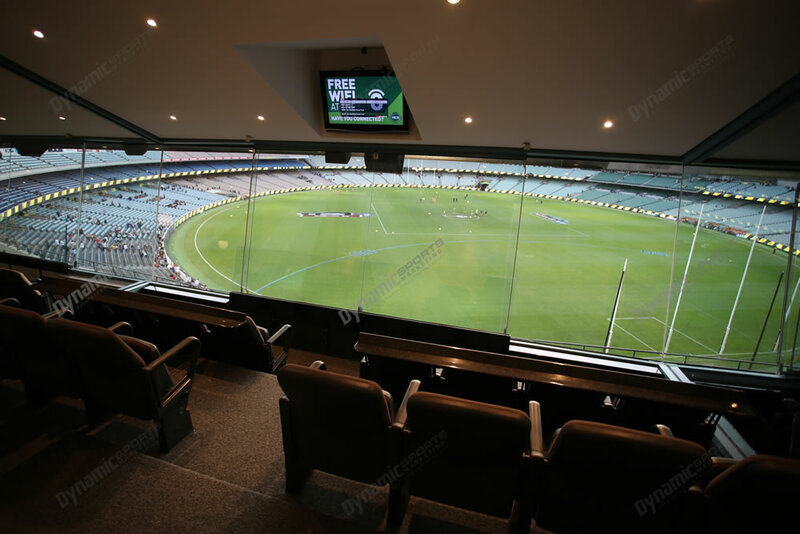 This is a glass fronted room that overlooks the playing surface. 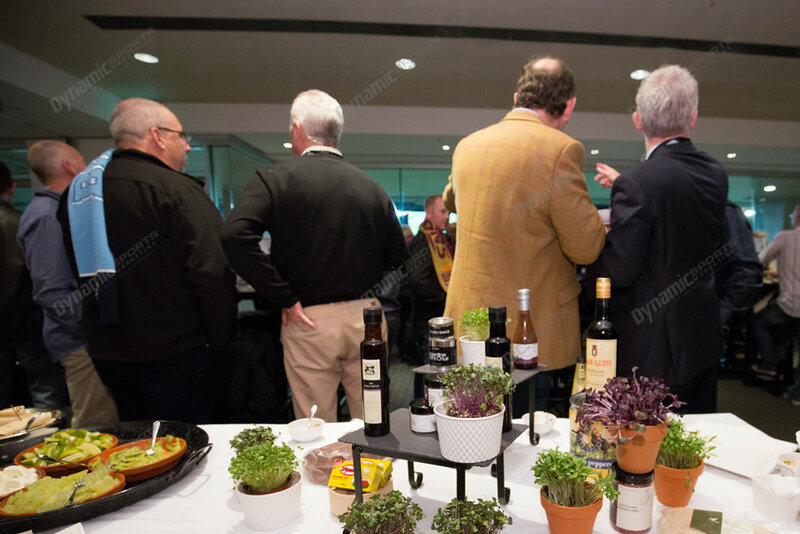 Substantial stand up style grazing menu served to you and your guests from 6pm until an hour after full time. 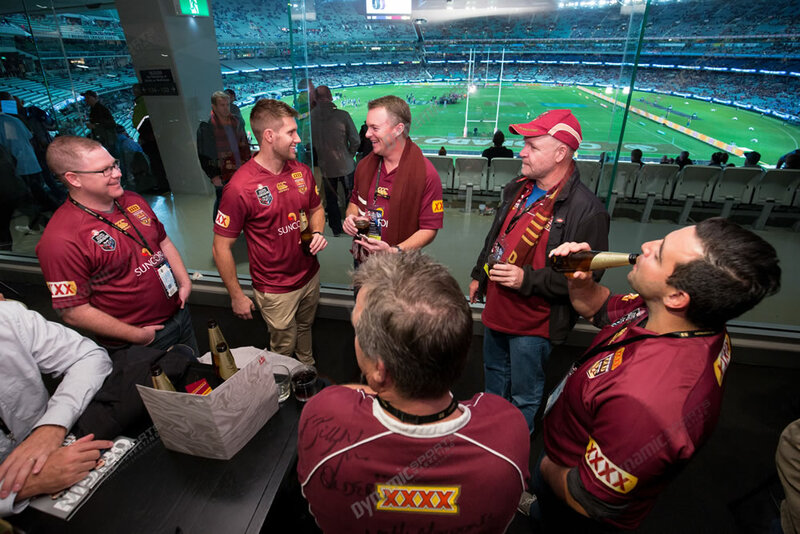 Premium beverage package throughout the entire evening including beers, wines and soft drinks. 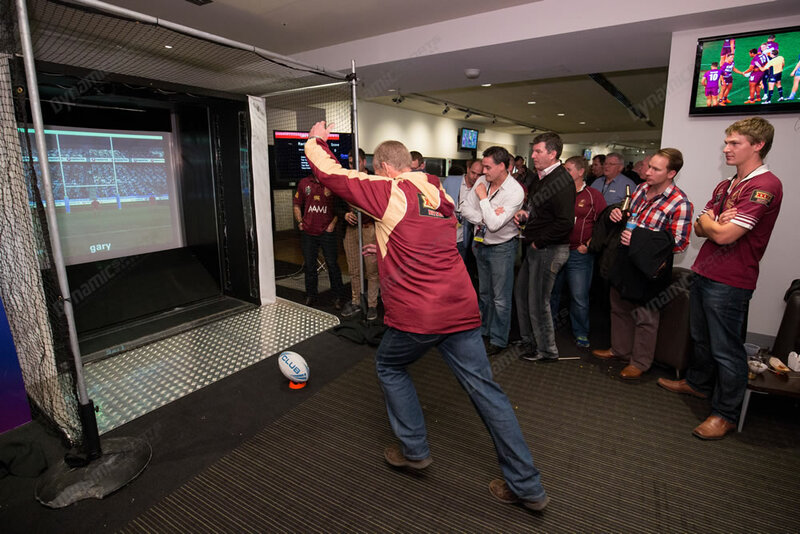 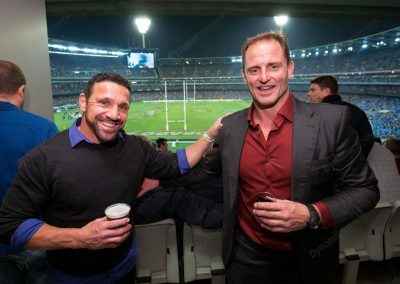 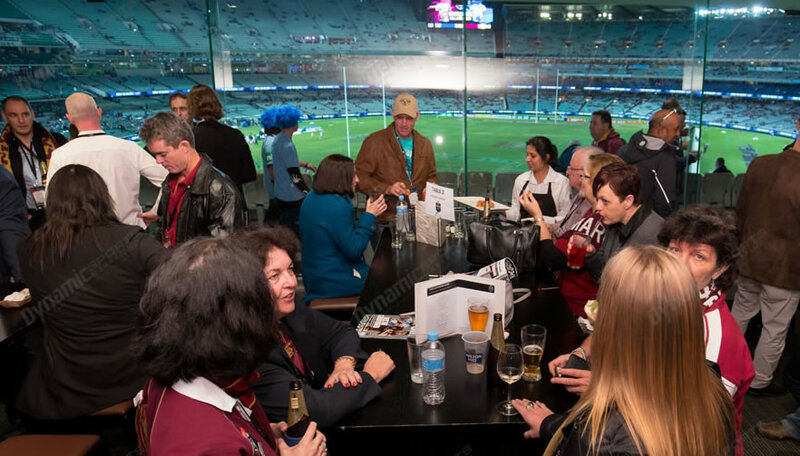 Mix and mingle with a range of State of Origin Legends including Billy Moore, Scott Sattler, Gary Larson, Jason Stevens, Paul Sironen and others. Please note, 2018 line up is TBC. 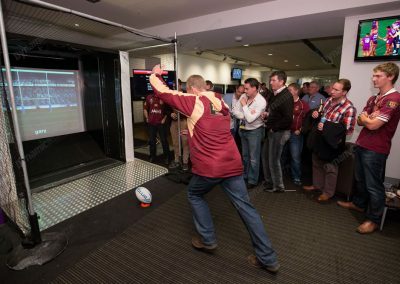 Signed, full sized replica match football signed by Billy Moore. 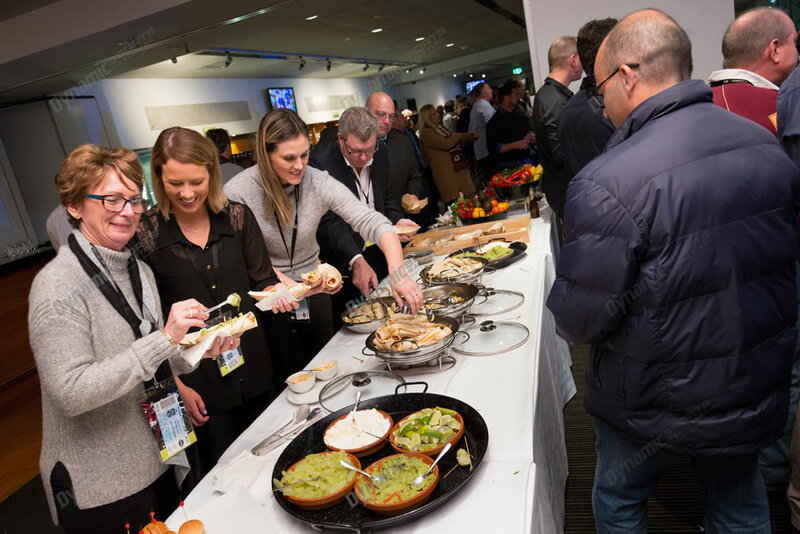 Dynamic Sports Marketing event staff in attendance to look after you and your guests. 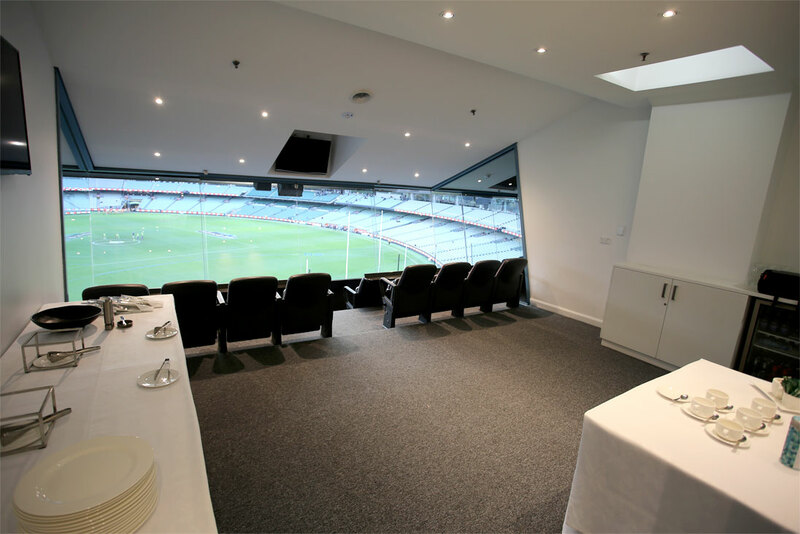 $815pp + GST. 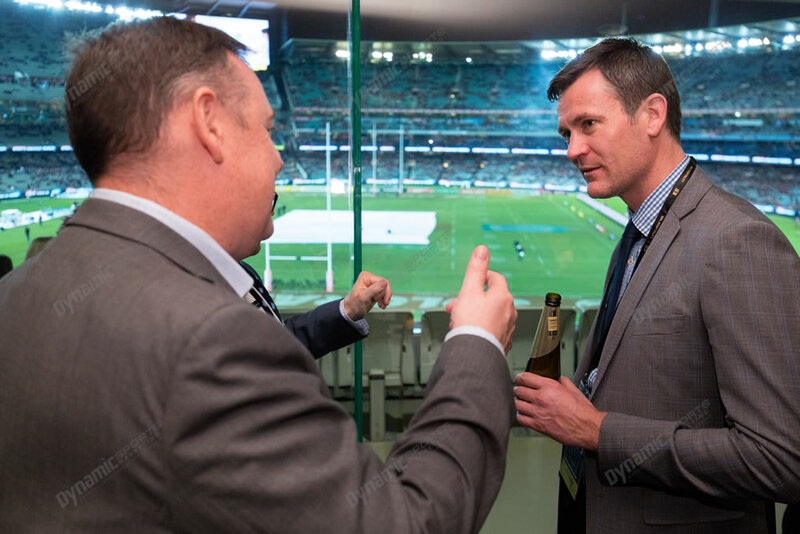 Numbers flexible. 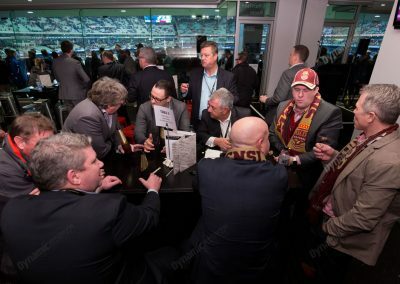 Please note: Spirits are available on a cash basis, credit cards accepted.